Ten songs ideal for patriotic occasions and American holidays. 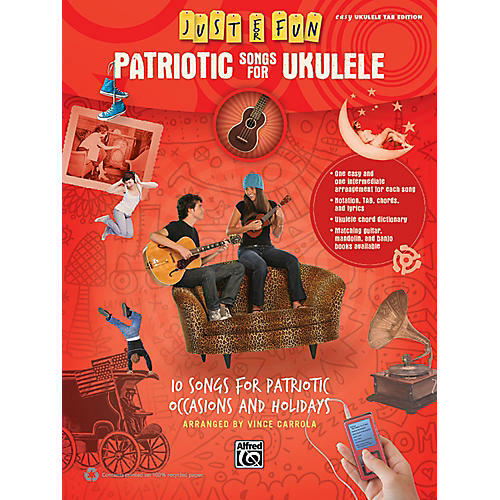 Part of the Just For Fun Series, Patriotic Songs for Ukulele is perfect for holidays and patriotic occasions. Each American classic is arranged in both a simple melody and a more elaborate intermediate version. Standard notation, TAB, chords, and lyrics are included. "America (My Country 'Tis of Thee)"
Show your patriotic pride with this collection of great tunes. Order today!